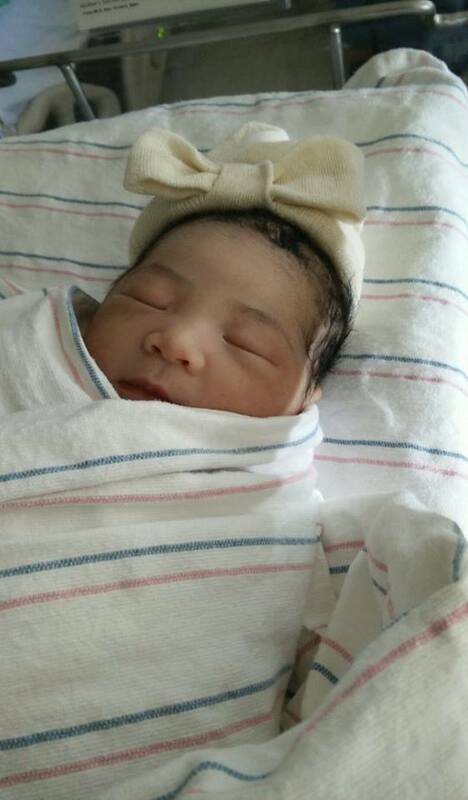 First pic received at birth from Jay her father with a message in facebook messenger, "Your granddaughter is 6 lbs 7 ounces! Both she and Su are doing well and resting. 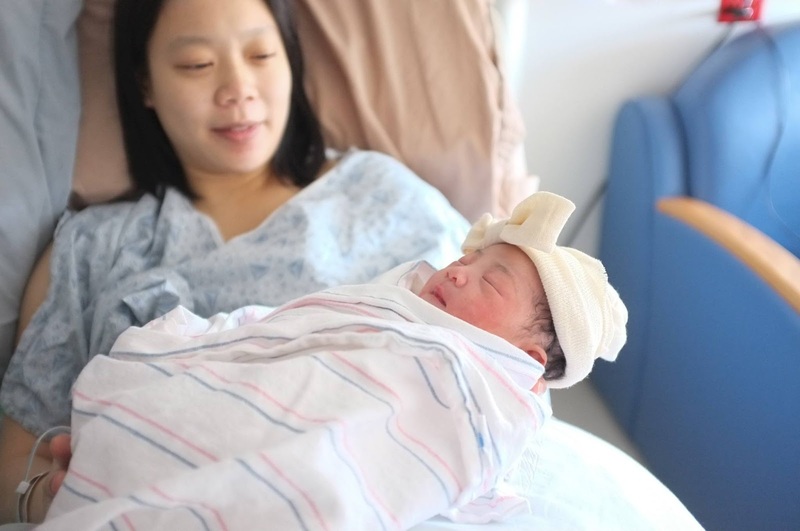 Su gave a unspeakably valiant effort in bringing this soul into the world"
The birth couldn't be more timely as it happened on their morning of Monday Jan 18th in Boston US while it was before midnight of the same day too in Malaysia/Singapore time! Also on the day before at Church on Sunday afternoon in Kuala Lumpur, we bade farewell to an old family friend of ours at Church in a funeral service as recorded in the previous post. This is to me a close following of events of life, a death and a birth, which I recalled was similar when we ushered in the new year of 2008 with a Death, Marriage and Birthday event in January as recorded here. A secret group entitled "Su's Virtual Baby Shower" was created by Jay's sister Kyleen in facebook. On a screen capture shot of the group page, we can see 173 members have joined. It tickles me to see that the 6 pics on my view of the group page shows all 6 of our children in the following order from left to right : Han, Shuan, Ray, Fei, Su (Baby's mother) and Ern! Hmmm.... with the number 7 seen in the total number of members of 173, I could record this coincidence in my Story of 7 blogpost! 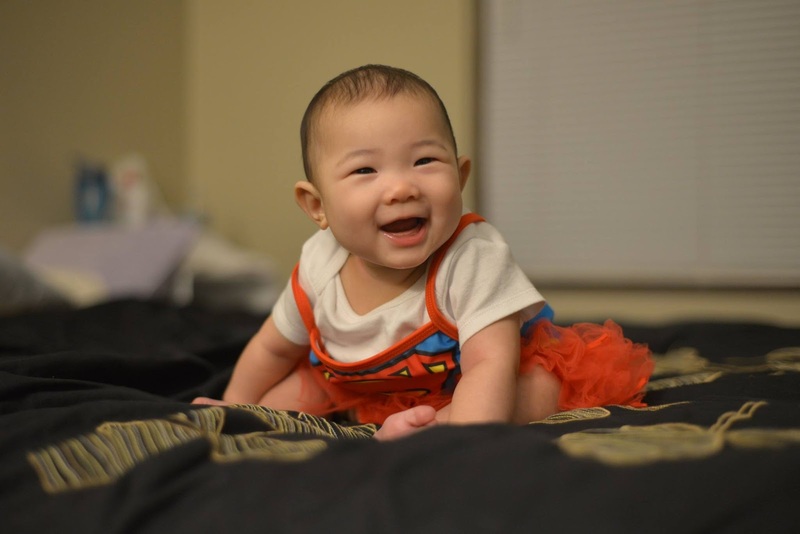 What a pretty awesome looking baby don't you think? 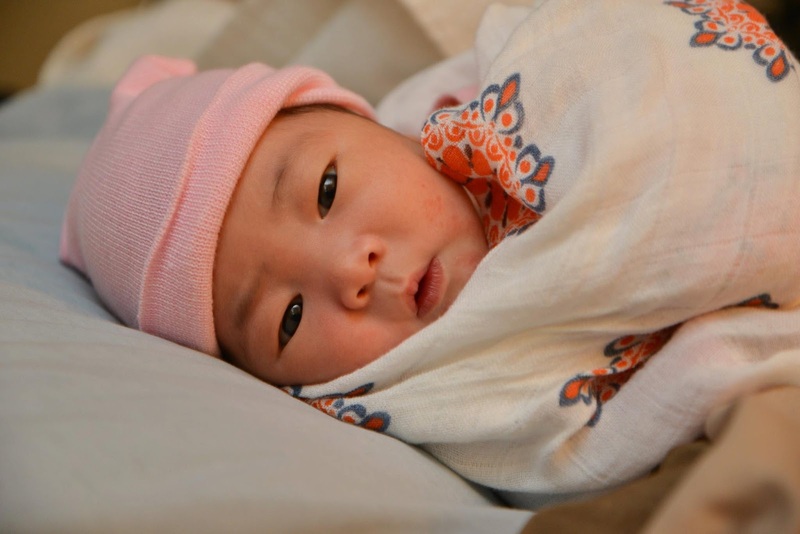 Looking at her with eyes opened, reminds me of the calmness of her father with a smug look of determination of her mother! 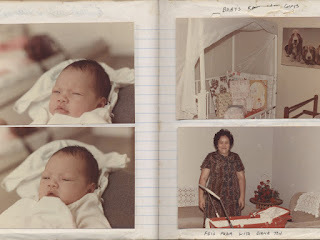 Seeing the smiles of her parents and grandma holding her in the group photo above reminded me of the joy of birth as it has been a long time since I have been closed to a new born baby. 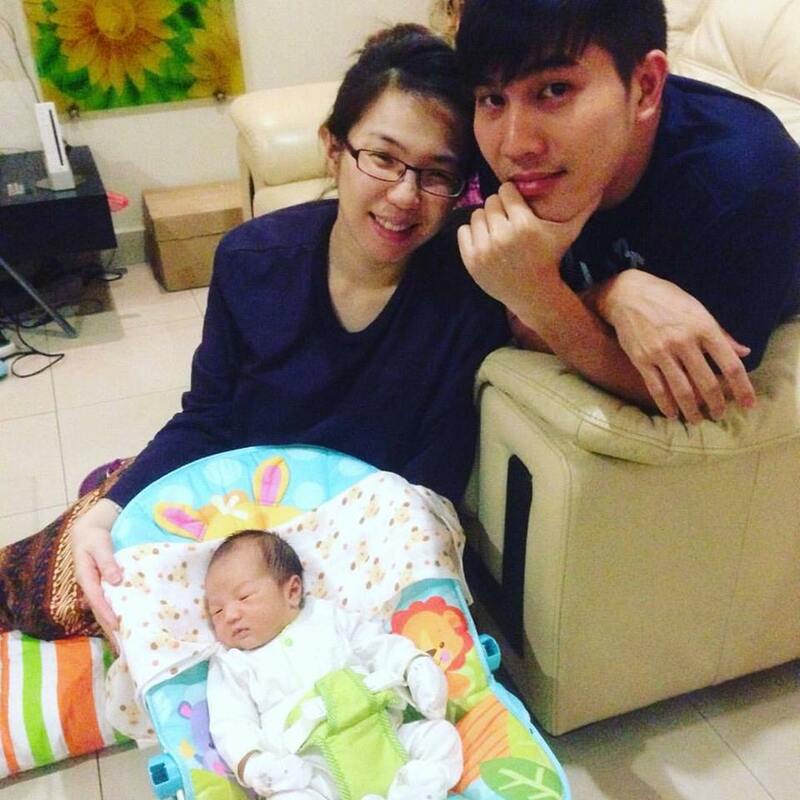 The closest was the first baby of my nephew Ryan - Woon Ming and his wife Jenn, who was born on 9 Oct 2015 and named by his parents as 'Rui Yang'. 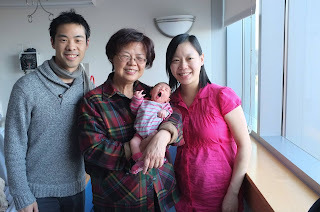 Unfortunately I have not got to see him yet as he was with his mother at birth to stay with her parents' home during the one month Chinese confinement period when I was in town to visit Ryan's parents. Due to my shuttling trips to Singapore and my constant busy travel schedules elsewhere in and outside of Malaysia, I missed out on family gatherings with their family at my brother's home when Rui Yang would be there! The above pic is shared here as something coincidentally happened the day this pic was taken. 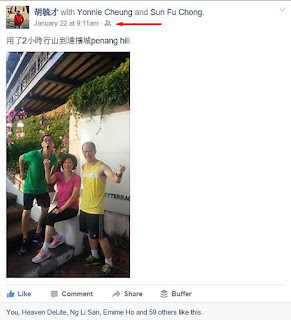 I was with my guests from Hong Kong visting Malaysia as shared with more details in this post. 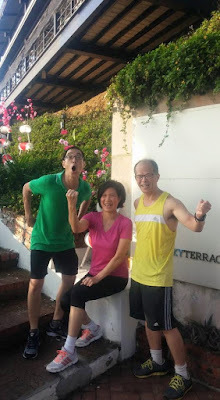 This photo up in Penang Hill was quickly taken for us using Wu's phone camera by a Dr Choo whom we met near the peak walking in the same direction as us and she showed us a short cut to the common public area from our trail. 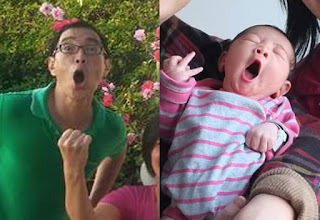 Both my friends put up their fist as a sign of victory that they reached the peak but since Yonnie in pink had her fist close to my face, I instinctively opened my mouth wide as if taking a punch but looked just like baby Leah's widely opened mouth! Leah's photo with her mouth opened was included in the above group of 8 photos added by Jay on Jan 22nd while Wu Yuk Choi whose phone camera was used posted the photo below also on Jan 22nd. 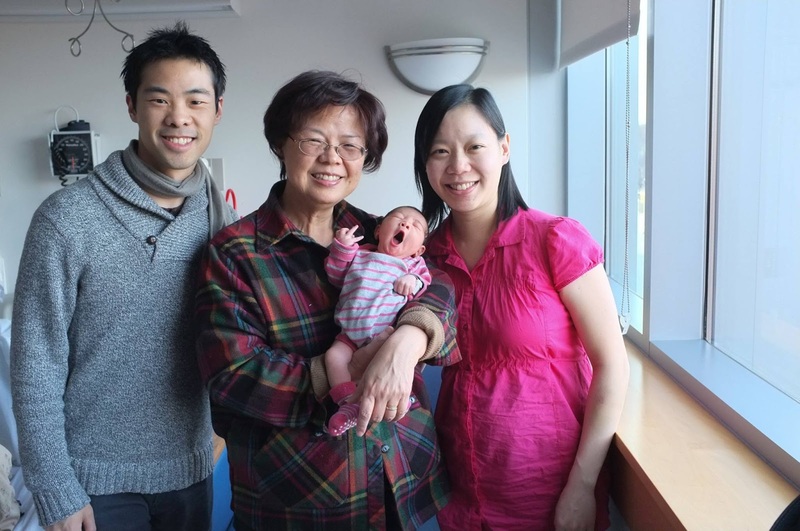 How wonderful the feeling to have a new precious baby into the world again as we felt when we had our 2nd baby Su, enjoying the miracle of birth 17 months later after her sister Fei. 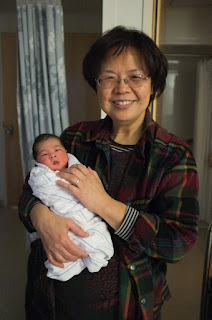 Su's birth of Leah or Yù Li makes me think of the Mom of the family who gave birth and nurtured all 6 of the children. It was nice of Su and Jay to pick the name Li in Chinese which is similar to Mom's Lee in her name. The above two baby pics are of Su while the first child and pioneer to forge the future with her young parents is Fei pictured below. Rekindling appreciation to Lady Diana from Ipoh also comes to my mind as she was consistently there to care for Mom and the baby 6 times during our child bearing years i.e. at the birth of all of our children to care for mother and baby during the confinement month after birth, traditional in a Chinese family. 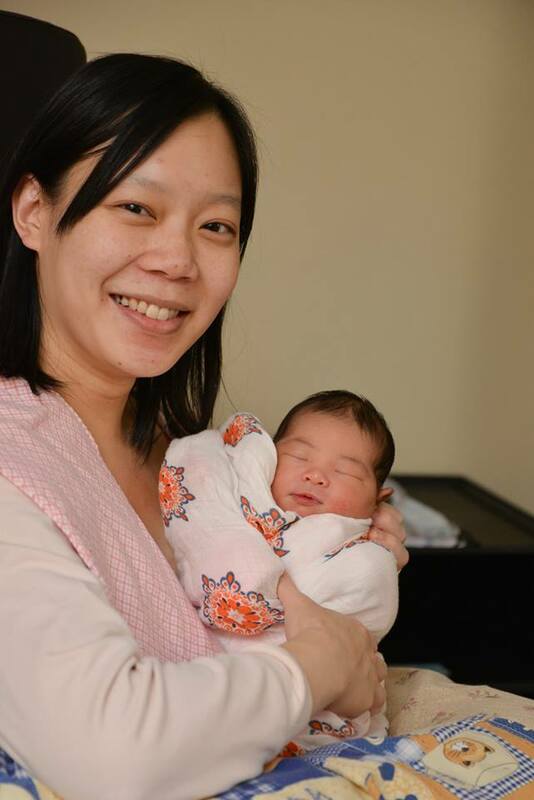 I am therefore grateful to know that Jay's mom Grace had already planned to be there to render assistance to Su and her new baby when Leah was born! Diana Toh is seen seated on the front left in a restaurant in Ipoh. This was part of our journey with my Hong Kong guests starting from Kuala Lumpur covering several places to visit in a 7 day duration which included also the island of Penang, nature outdoors in Pahang, historic Melaka and various parts of Kuala Lumpur for shopping in malls, dinners with friends and icon sites like the KLCC towers covered here. 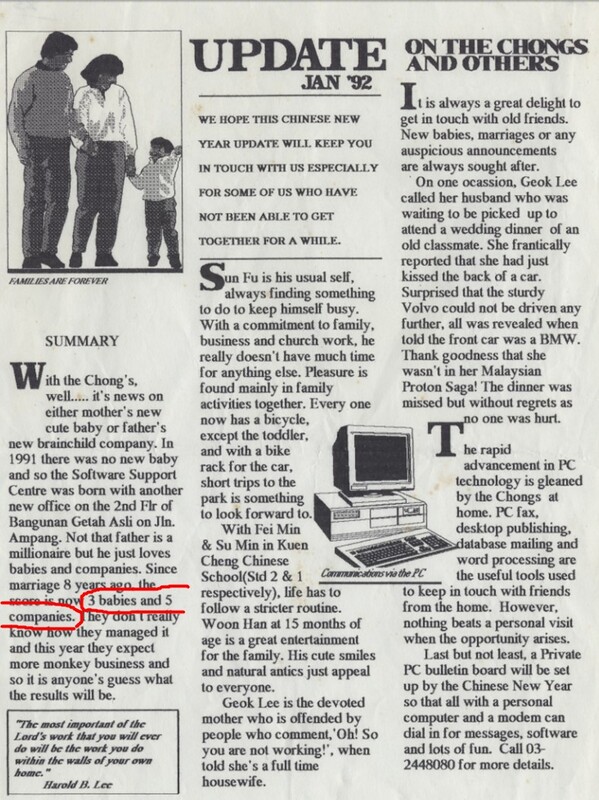 My mind seemed more creative at the birth of each of our children as shared in our annual newsletter above in the year 1992 where we had printed as the opening line, "With the Chongs...it's news on either mother's new cute baby or Father's new brainchild company." The score after 8 years of marriage was 3 babies and 5 companies as can be read in this link here. We continued with 3 more children as recorded here as I continued to break records in our family world as well as in the business world as recorded there. It seemed after cancer had stricken mom for 7 years and after her passing to leave the youngest boy at 15 for me to play Mr Mom for another 3 years till he was 18, there was no new baby nor company. The above newsletter was to kick off 1992's Chinese new year of the monkey with monkey business, and I guess this 2016 is kicking off the year of the monkey again with more creative juices flowing in my Heart and Mind. 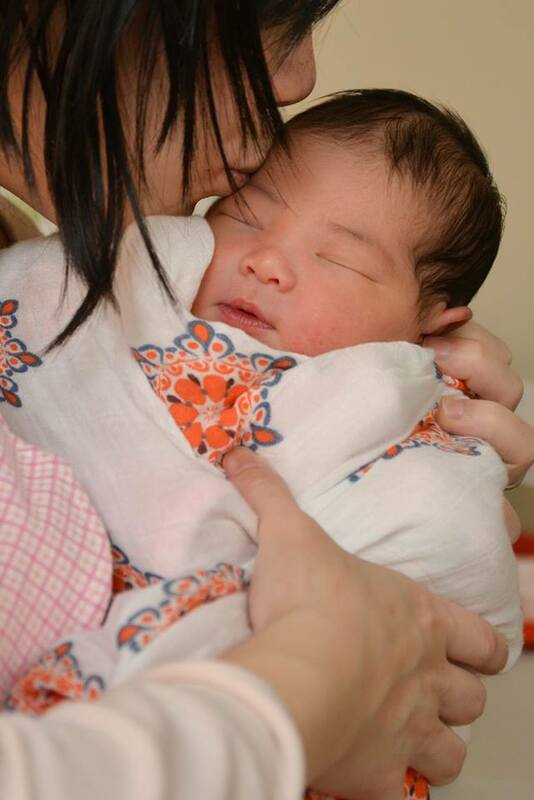 Indeed, having our first grandchild is marking the beginning of a new Era in our Familylane flagship. So many new and exciting things or events to look forward to in the next cycle of the Chinese Almanac years I suppose! I became a father of six and even a grandfather today with a lot of accumulated knowledge that never stopped increasing as I had never stopped learning. I also seemed to have always kept my childlike faith in life and later a became a co-creator of life too. Like a kid, I'm easily excited by new things, interesting people or stories and at awe with the wonders of the world in sometimes very ordinary life situations like childbirth or even the birth of a puppy. 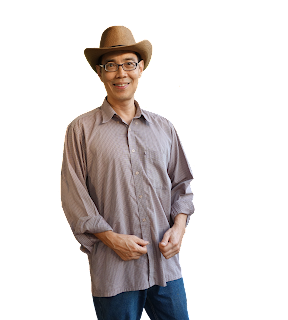 I became a master of change or of Optimal Performance and Thinking (OPT) that gave birth to the acronym OPTION that I had always used to steer my own life and help others too. My latest endeavor in our world today will be shared in Talklane launched in 2016 very soon. It is the culmination of my years of experience in what the world call 'social media' today. 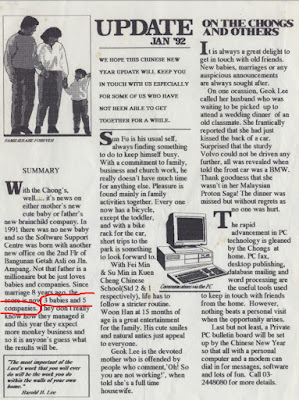 For me, it is just a habit of mine to share with and uplift others with my rich experiences of life, holding on to my child like faith as I began to wear bigger shoes and assume larger responsibilities, wearing many different hats indeed but would never fail to write my journals and create my videos signed as Dad the KL City Kid. 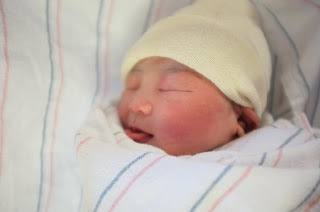 WELCOME - Liú Yù Li (劉毓莉) to this wonderful world of ours where you would create your own mark in this world as your ancestors have done so long before you were born. 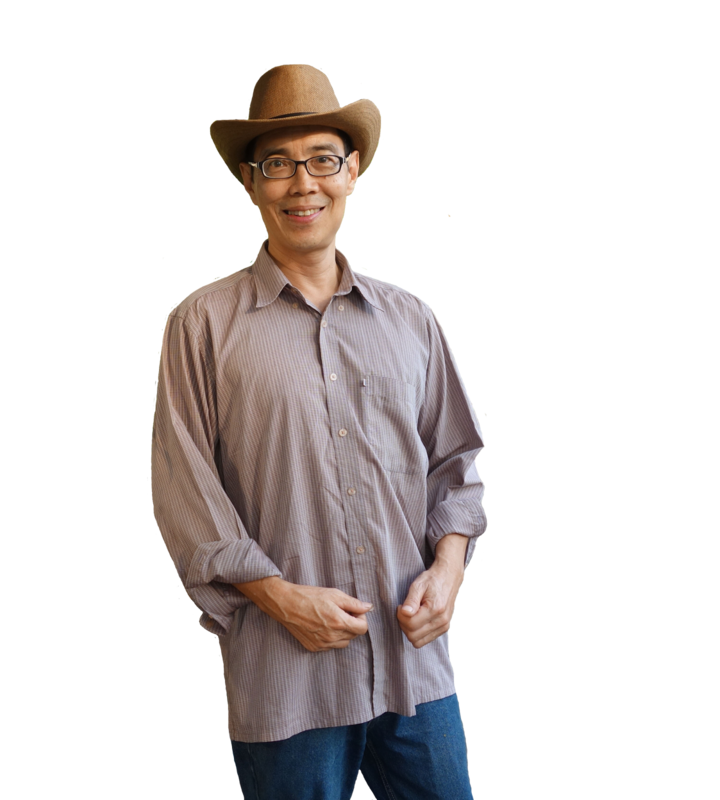 I look forward to meeting you Live in Person in 2016. 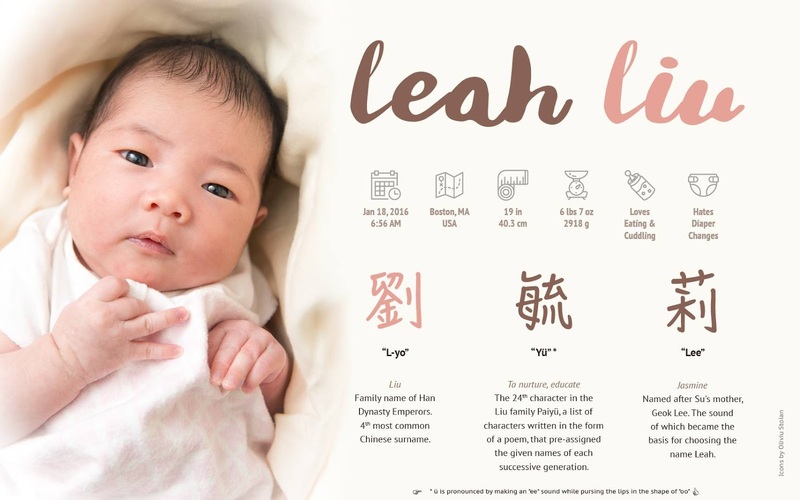 What can you tell me about Leah's name Yu Li that relates to Mom's Geok Lee? 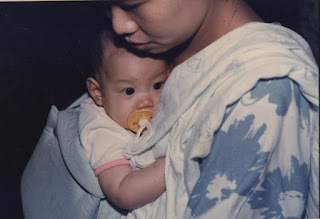 Mom's name is 玉莉 yù lì, meaning "Jade" and "Jasmine". Leah's name is 毓莉 yù lì, meaning "to nurture; educate" and "Jasmine". Both Yu characters have the same 4th tone, so when the names are spoken/read, they SOUND exactly the same. But when written, the Yu's are two different words. Mom's 玉 yù is shared with her sisters, like how Jie Jie and I share Min. Leah's 毓 yù is the generation name assigned in the Liu family poem. Like how Woon is assigned to the boys in the Chong family. 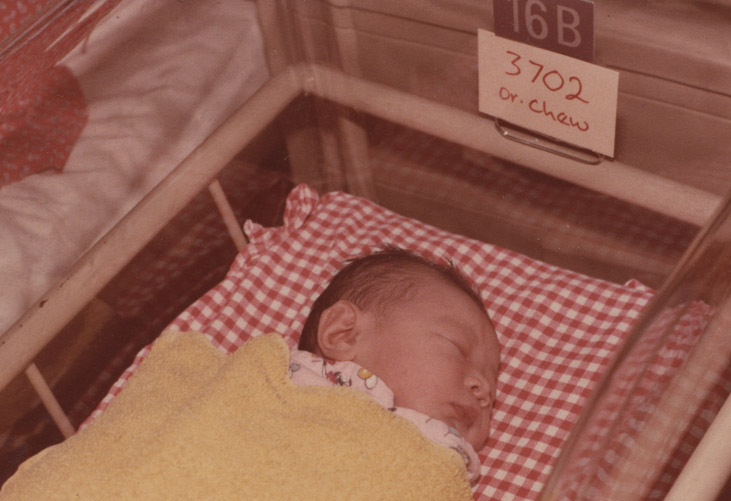 When Jay and I learned about the 毓 yù generation name, we thought it was too good of a "coincidence" that we could name the baby after mom. 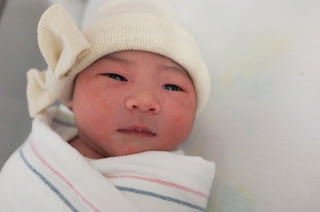 Even though traditionally speaking, only the boys in the family would use 毓 yù, Jay and I felt good about naming the baby after mom. 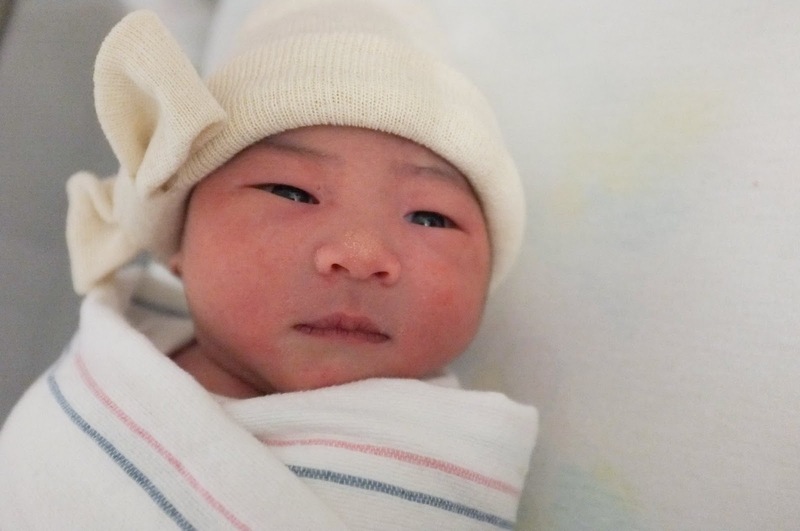 So we ended up using the generation name for our baby girl. Yes, I am sure mom sent Leah off when the time came. More and more people I know are passing away who are younger than me and I'm thinking there are happy reunions there too as there are on earth here when old friends or family members meet! Were you aware Bro Cannon passed away in Jan last year just short of turning 100 in Feb. 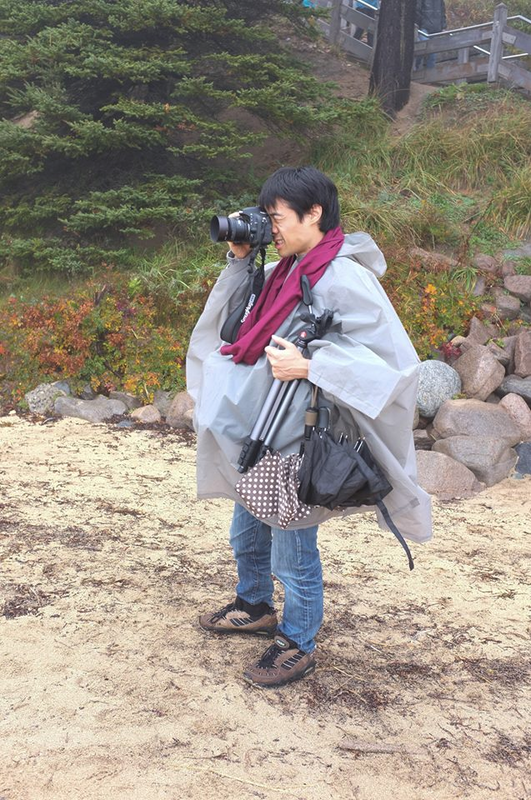 I did memorials of him and other couples found in a link at the bottom of Daniel Wong's post. I could get the obituaries of all the American couples but for Bro and Sis Redd who served in Ipoh whom Mom and I visited with when we were sealed in SLC temple. It was a spiritual moment when I discovered more than an Obituary of them in the Newpapers but Sis Redds journal of their life covering their mission days in Malaysia too! Dunno why I just can't forget those who lived and have left us especially if they have been closed to me in one way or another. I'm glad for the computer technology that is helping me keep all these links I have in my brain!!! 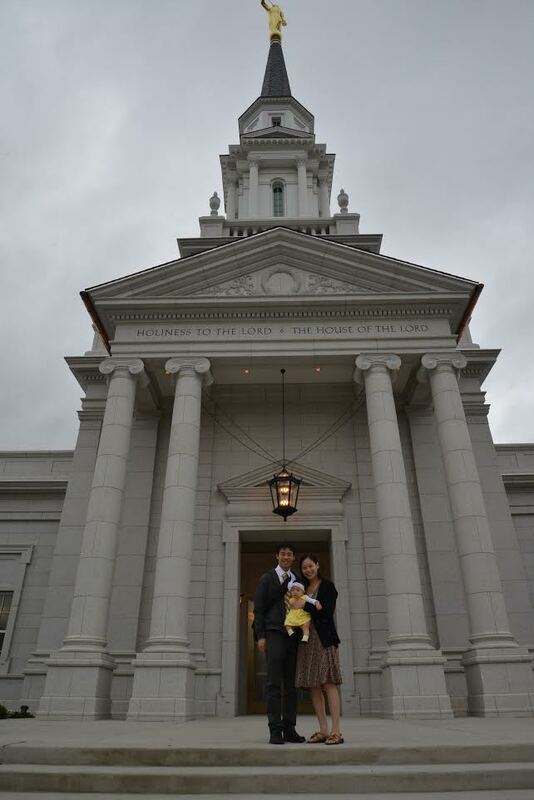 Jay and I got to visit Brother and Sister Cannon's grave when we were in Utah this past November. That's nice of two of you to drop by. I lost contact with him when I called and he was having a hard time hearing so I couldn't keep in touch through phone any more and he doesn't use the computer anymore either! Photos taken on November 24, 2015. 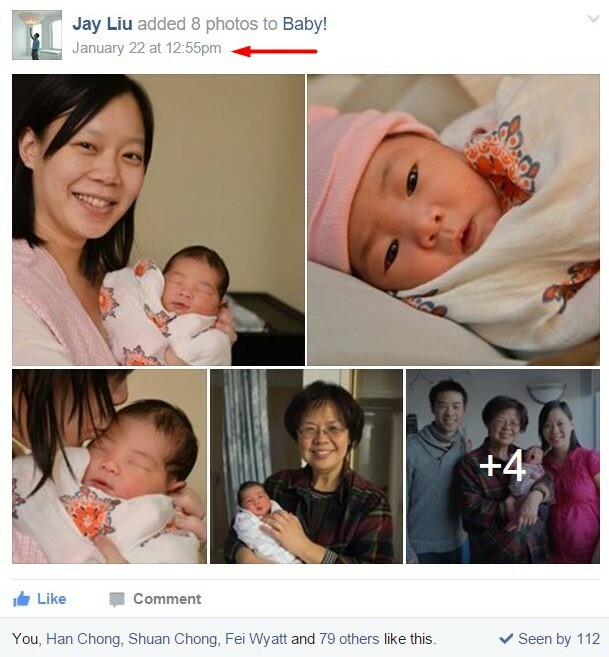 Su posted the above photo, an info graph done by Leah's father Jay, in her Virtual Baby Shower facebook group. Leah is really looking like and Emperor's daughter indeed! Haha... I laughed with the baby as Su sang the song in the above video that can be heard in our familylane oldies performance video here. Comments from her mother, "Her latest super power- she can sit up all by herself!" 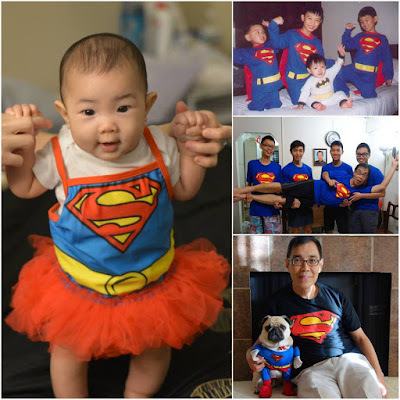 Superman or not, Grand Pa the Blur King without Grand Ma physically present, who named herself the Drama Queen, was just happy he estimated the right size for Leah to wear! Flights have been booked for Grand Pa to be in the USA and Utah from June 7 to 21. Big Auntie Fei from Los Angeles and Uncles Han and Shuan from Singapore will also be there. The younger Uncles Ern and Ray have to remain in Singapore for Army and Internship at college respectively for the two of them. Then Early in the Morning crossed to Singapore! 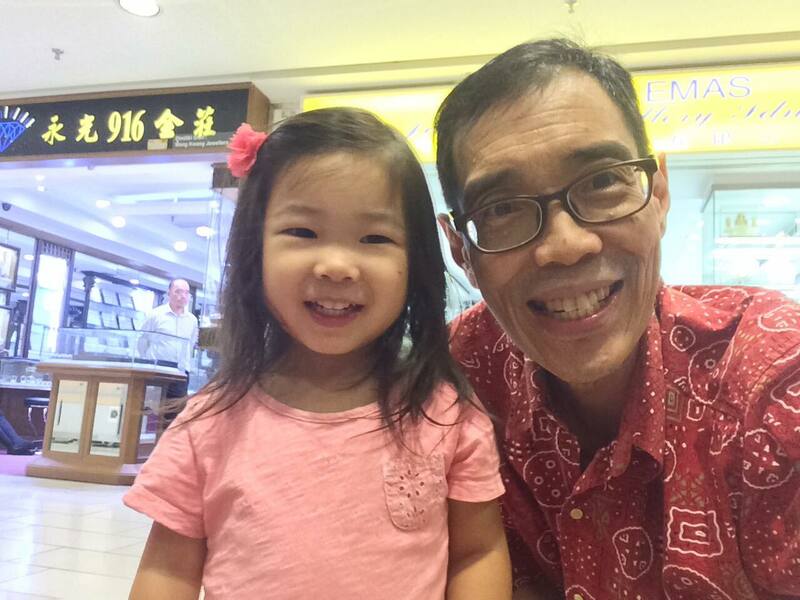 A slight twist to the expected journey happened when I got to Singapore with regards to Ern and Ray. 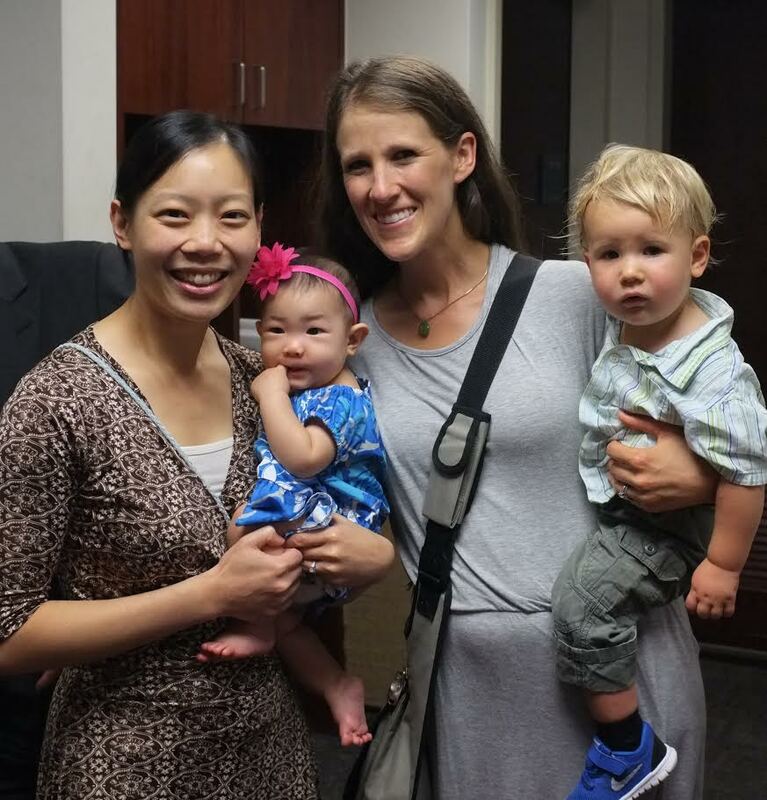 Read the full story of the 2016 grand familylane reunion in Utah by clicking here. 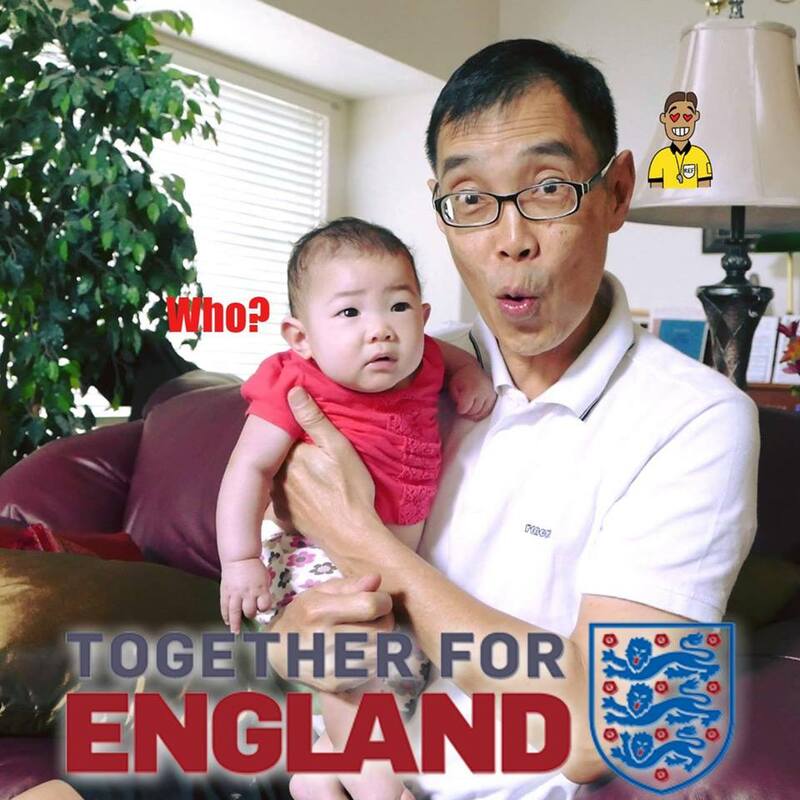 She is probably wondering who is carrying her and what is this ENGLAND thing about. Well the Euro 2016 football championship was on and as the chart below shows, there was a match between England and Russia on 11 June 2016! Leah is put by the side of her two twin cousin boys for cute synchronized baby actions! 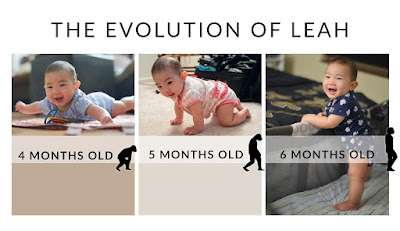 Learning to crawl on her hands and knees with a head slamming accident at the end! First was learning how to get into the pool, then how to float on her back with water in her ears and lastly to learn the proper way to climb out of the pool. 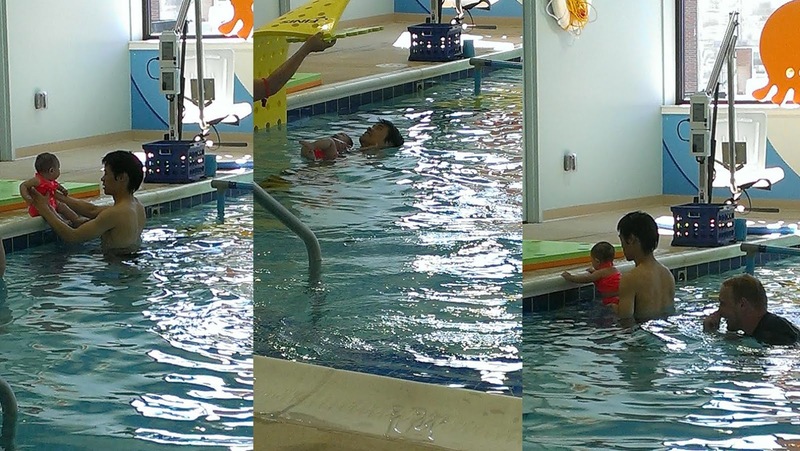 These photos were taken a week after Leah started lessons as per the above date. In the train in Taipei on the way home to the US. Coming to 9 months old! 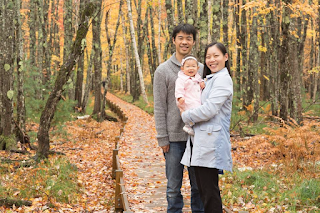 Su wrote the following words in an email to Shuan on 13 Dec 2016, "Last Tuesday evening, Jay and I were folding Leah's laundry in her room while she tried to "help". I took out my phone in an attempt to video her dancing with her pieces of clothing. That's when she took her first baby steps! I think I was really excited because I just happened to be videoing her when she took her first steps. On top of that, Jay was right there next to me to witness that moment! Jay and I have done nothing deliberate to encourage or help Leah with learning how to stand or walk, but I guess she is determined to figure it out on her own anyway. I am constantly amazed by that!" 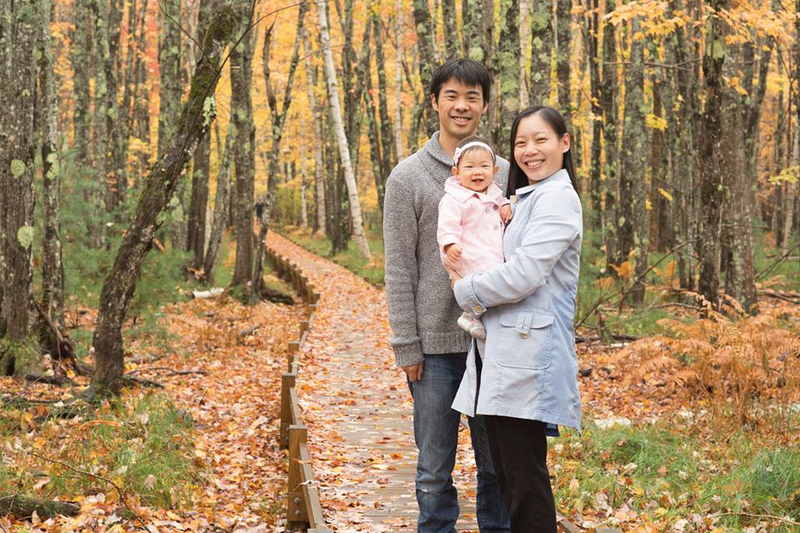 We drove up to Maine to see the autumn leaves at the Acadia National Park. It was a rainy weekend, but the fog and mist added a dreamy effect to the enchanted island. 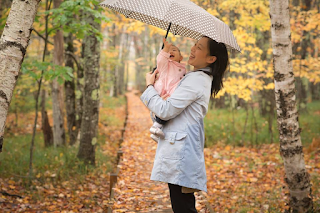 We were hoping to take family photos on the island, and alas, it rained on and off all day, so we learned to work with the rain. Next, this family picture is one of many that we took at the National Park. 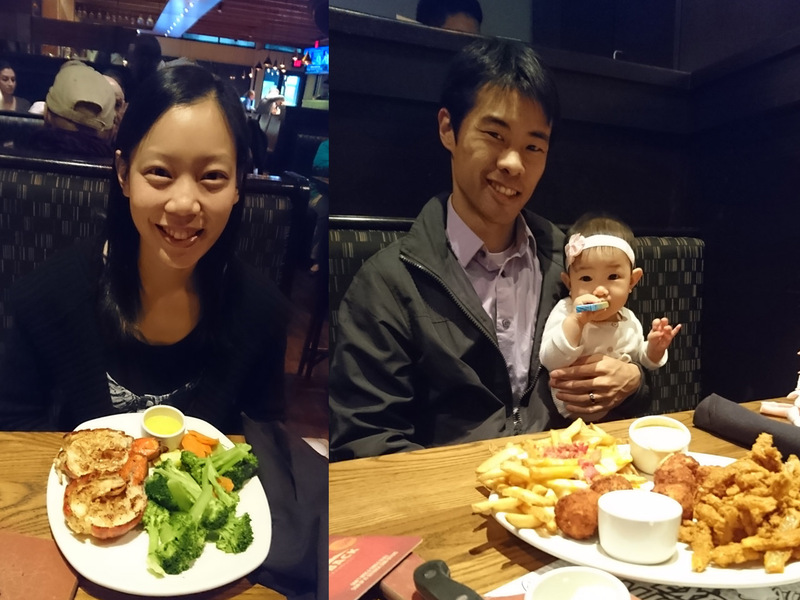 Jay and I are continuously amazed at how Leah seems to know where to look (at the camera lens) and when to smile whenever we take pictures. 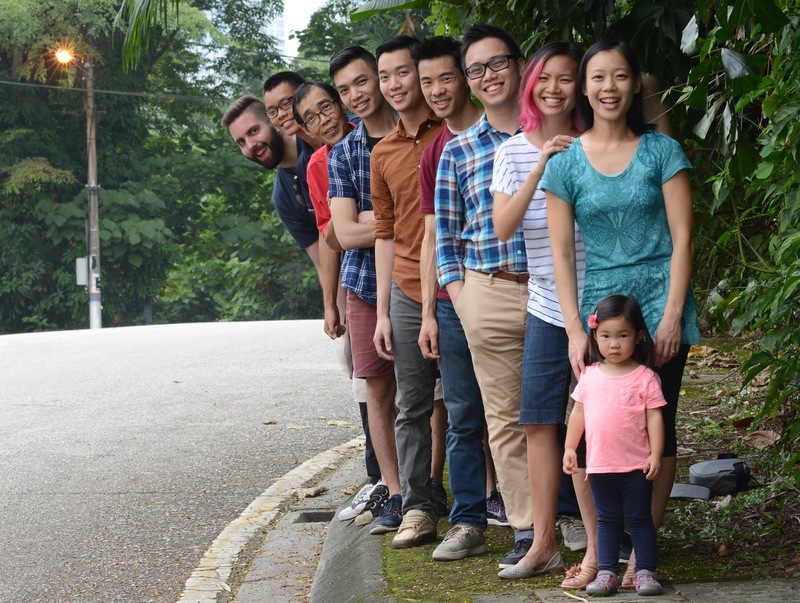 In this family photo, for example, nobody is standing behind the camera to help catch Leah's attention, and yet, she looks straight at the camera, and smiles big, for the perfect family portrait! 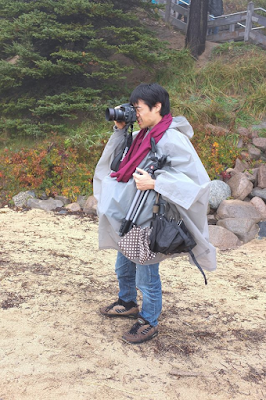 Behind the scenes, Jay with his gear - for photography and for protection from the rain! Leah has been drooling a TON in the past weeks! 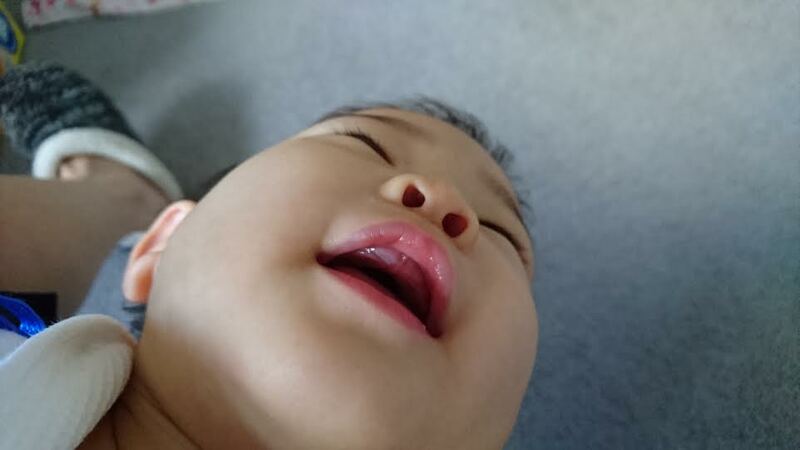 I finally got to see her upper right front tooth emerge from under her gum! Now Leah likes to grind her teeth, and she only has 2 teeth on the bottom and 1/8 of a tooth on top! WELCOME TO LEAH ON HER FIRST TOUCH DOWN IN KUALA LUMPUR MALAYSIA! 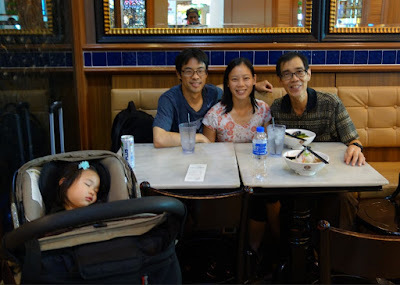 Landed in Kuala Lumpur after a 25 hour minimum flight hours from Boston to give Grandpa a hug before going back to sleep as I ferried Leah and her parents to KLIA2 on transit to Taiwan first before meeting up with the rest of the family members coming to KL the following week! 3 hours later on the ground Leah is still sleeping until she is rolled on to the next plane to Taipei! My thoughts of Leah are, "Sleep well and long Leah as the flight to her must have been as long as this blog post to record her life from birth to arrival to Kuala Lumpur for the first time!" 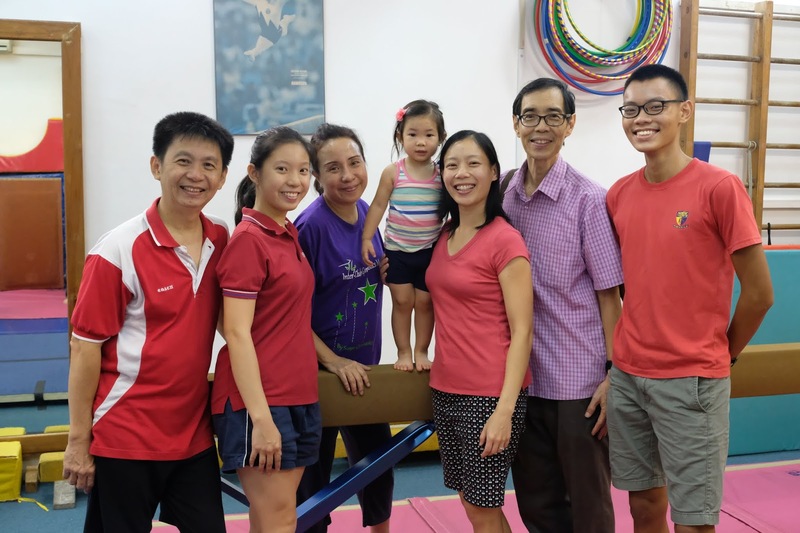 In Kuala Lumpur, Leah had a chance to go to her Mom's gym where she had learned gymnastics from a young age till she left the country for her university. 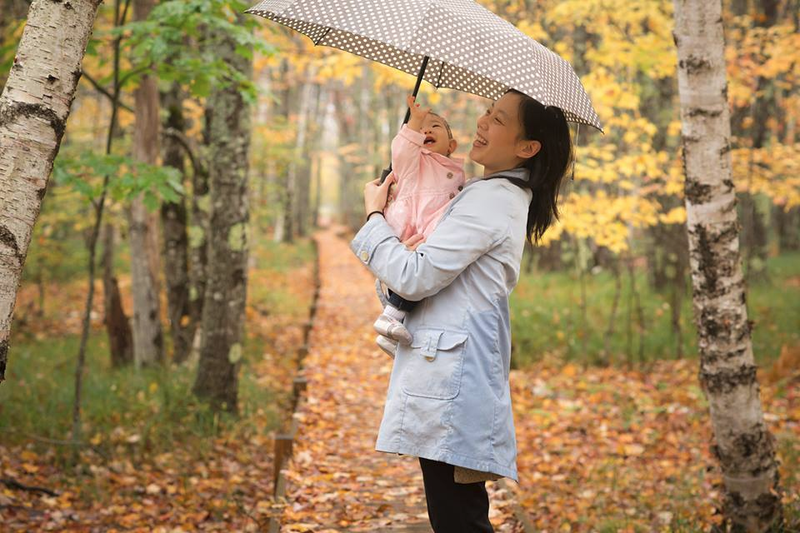 After graduating, marrying and giving birth to Leah, she continued her gymnastics training in Boston. Leah is going through all the routines like the older kids who are 3 years of age and above. Leah turns 3 only in January. All would have arrived by this day for our Family Photo session led by Jay. Being the youngest and shortest, she gets to be in the front of everyone. The video below shows all the other family photos taken and the birthday celebration part at the end. When she first arrived in Kuala Lumpur, Leah was asleep. It would only be fitting if she would be asleep like when she was leaving on transit to Taipei after she arrived. She was! My thoughts were, "Sweet Dreams adorable Leah, until we meet again!" More photos and videos of the family reunion of 2018 in Kuala Lumpur can be found here.